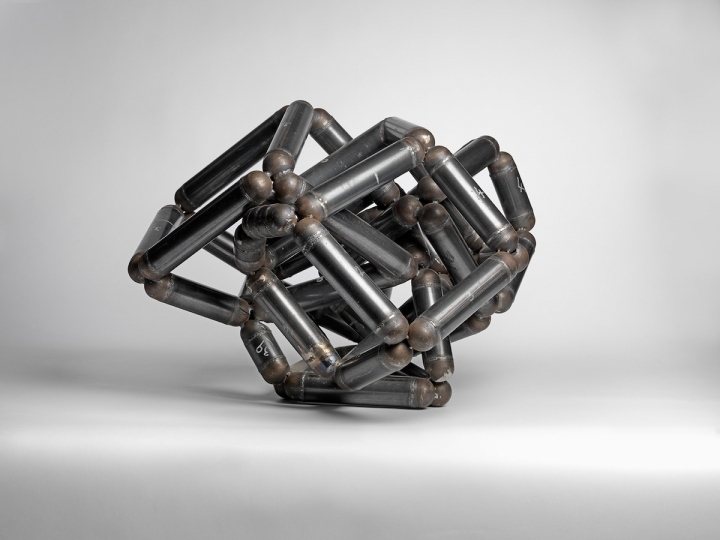 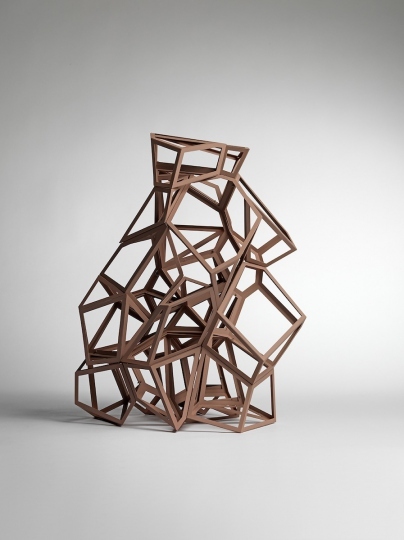 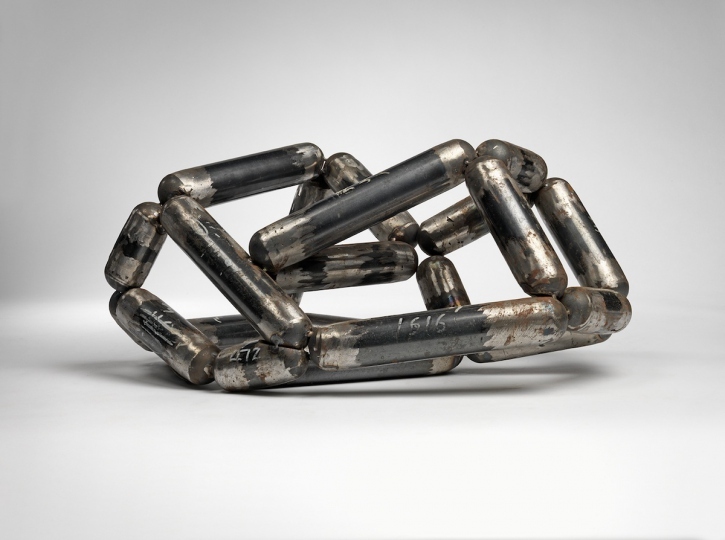 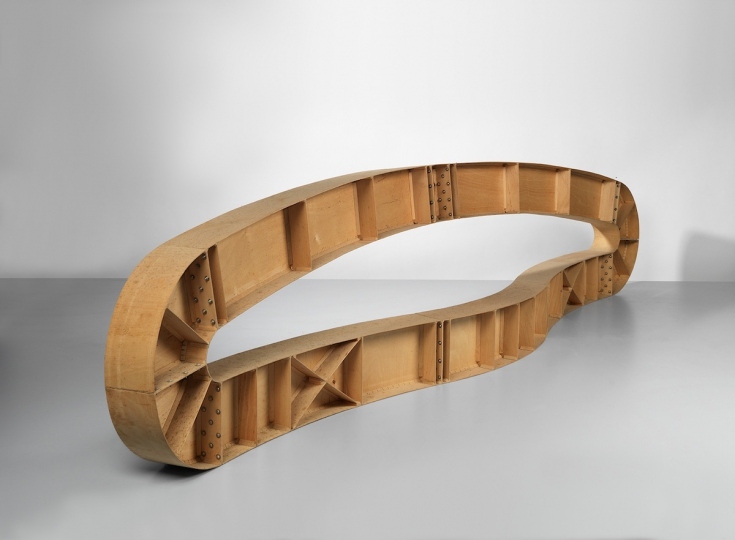 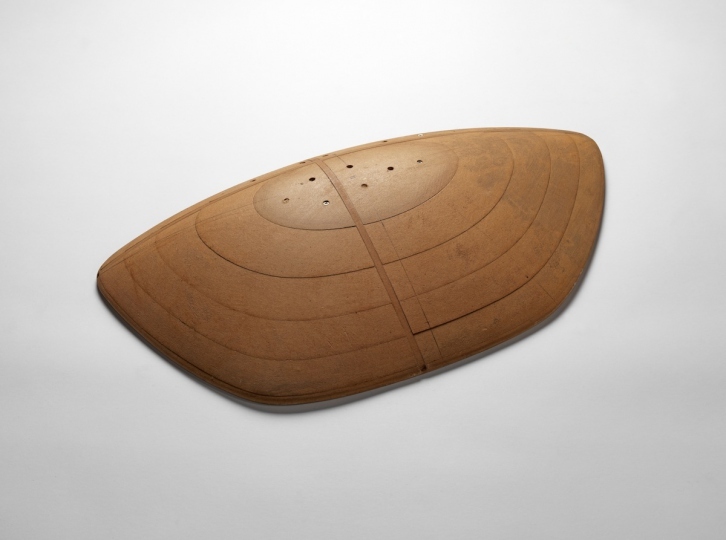 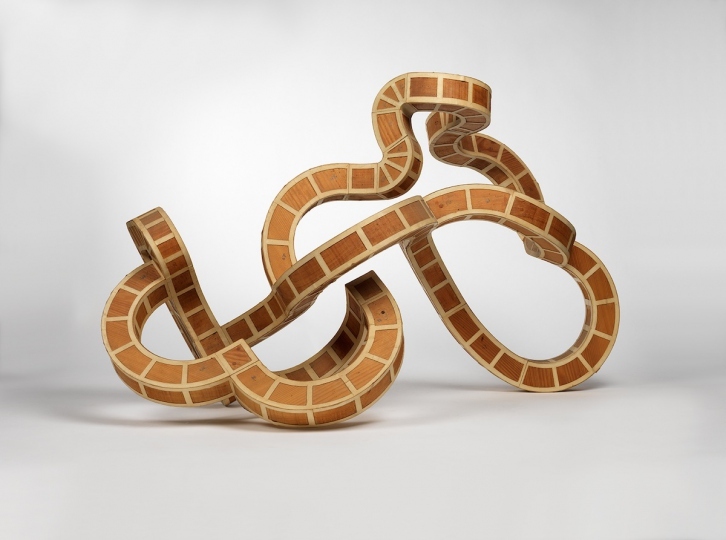 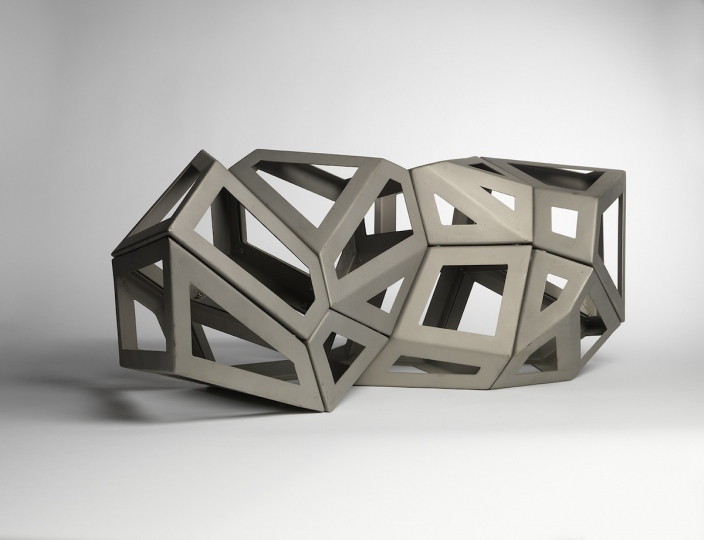 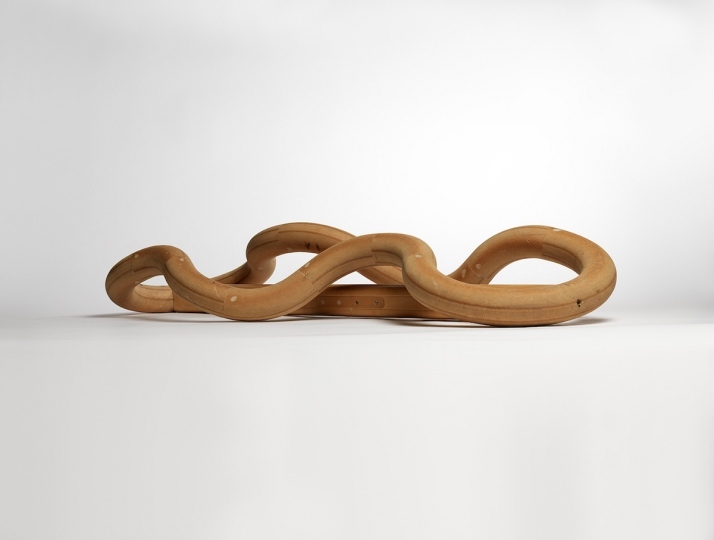 Richard Deacon’s exhibition Under the Weather at the Skulpturenhalle coincides with a show at the nearby Langen Foundation presenting his work from the past decade. 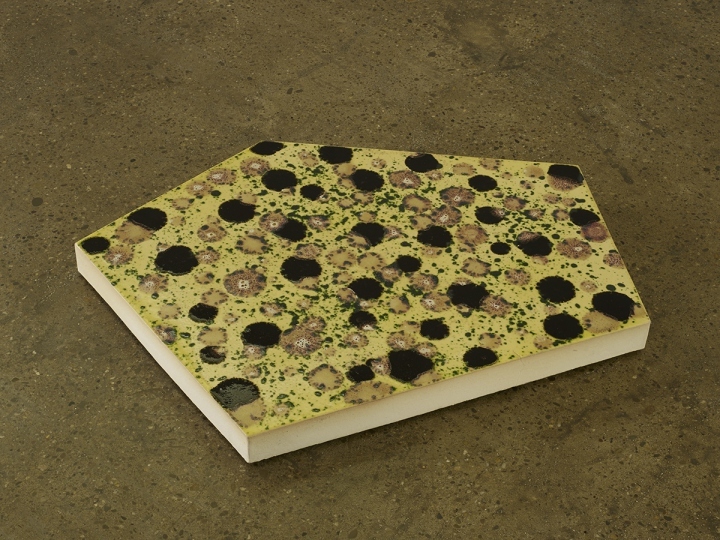 The title may be read both idiomatically and literally, for Deacon’s latest ceramic works, the Flats, are placed on the ground, facing skywards and thus exposed to the sun and rain. 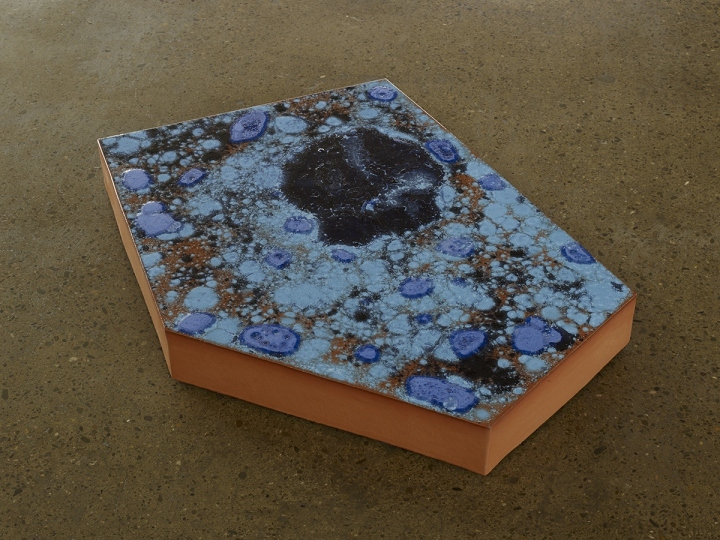 The works are based on the form of the plinth, but instead of supporting a sculpture, these plinths with their colourfully glazed surfaces are themselves the sculptures. 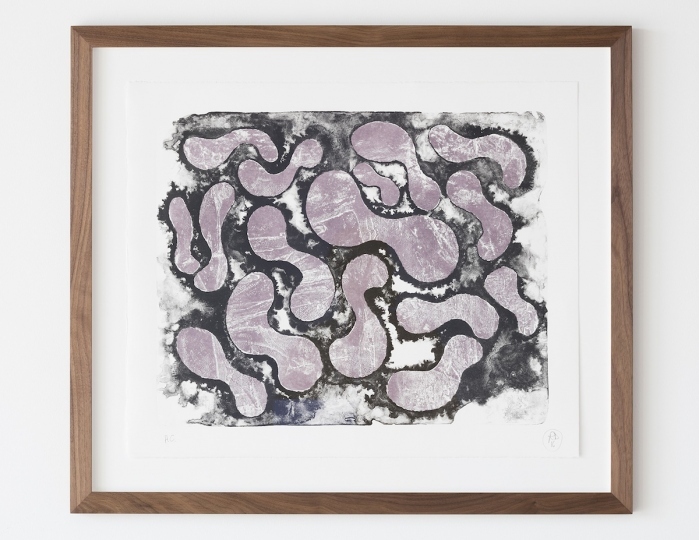 Ultimately, the Flats might be seen as images displayed on the floor instead of on the wall. 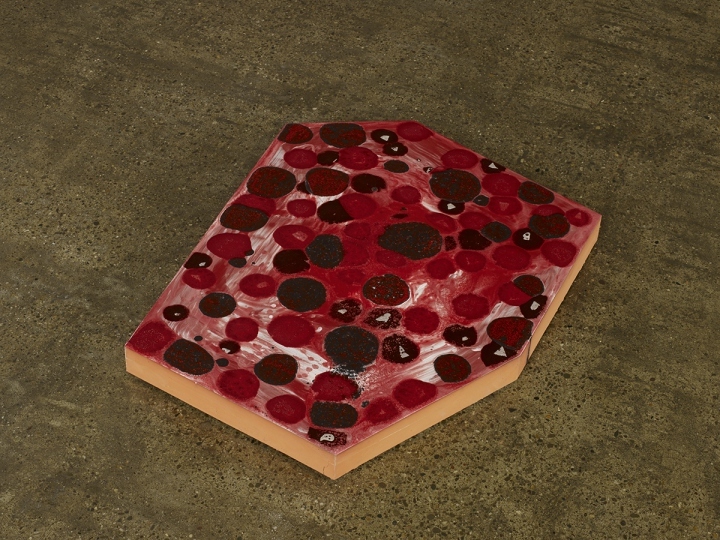 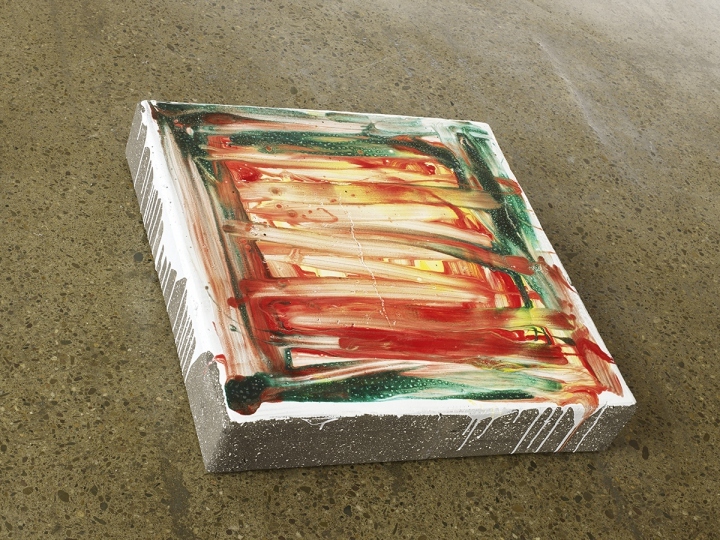 Because Deacon is not a painter, the painting of the Flats does not follow the principles of composition, but is informed instead by the artist’s fascination for the working process, the way the colours change when they are fired, and the interplay between control and chance – all of which determine the effect of the glaze, particularly striking on these large horizontal surfaces. 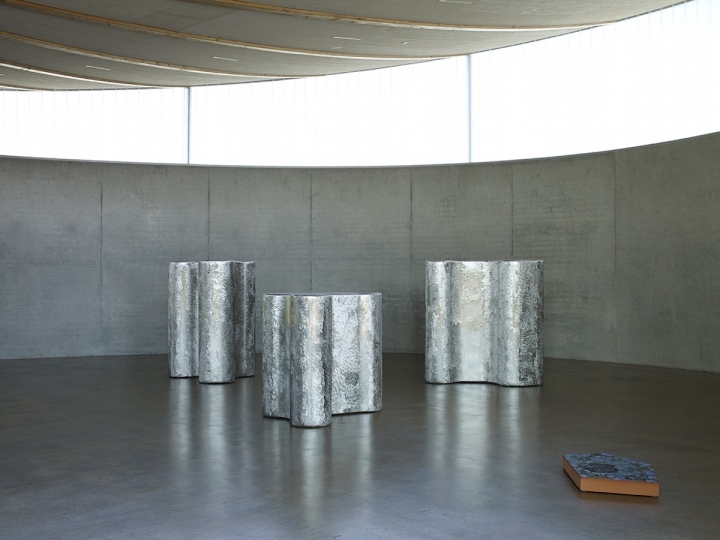 Interspersed among them are the Customs – vertical sculptures of interlocking metal tubes. 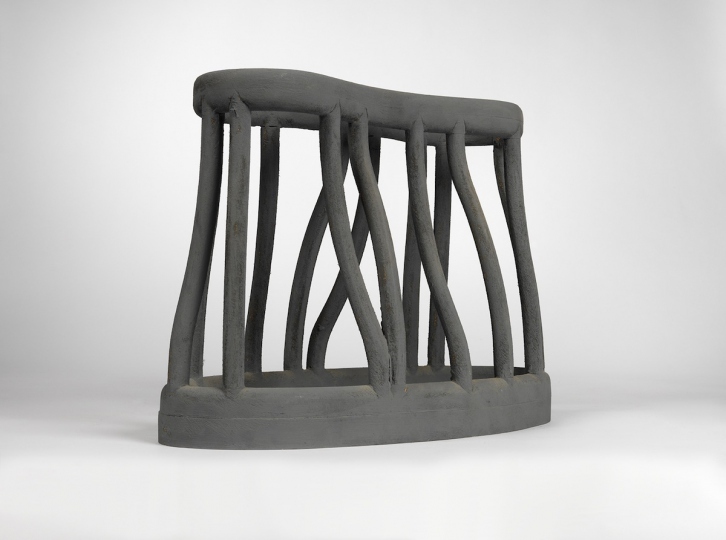 For these, Deacon has combined standard forms into ever-changing configurations that rise and fall, swell and subside, evoking the auratic presence of sculpture as it alternately invades and embraces the space in which it stands. 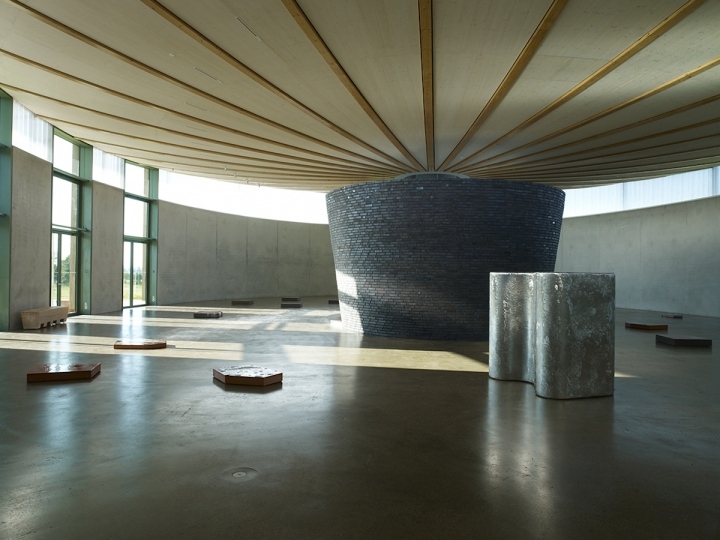 The light reflecting off these intricately ground and rippling surfaces changes constantly as the viewer moves. 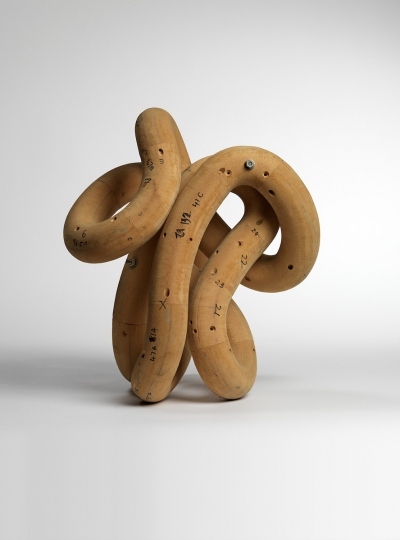 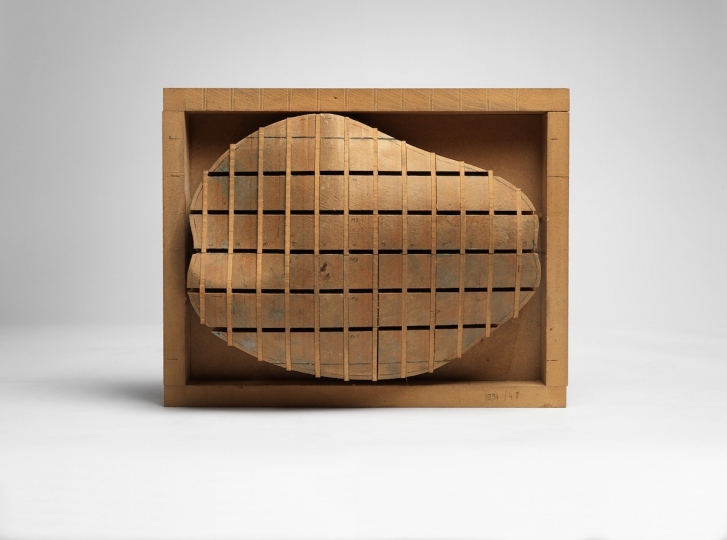 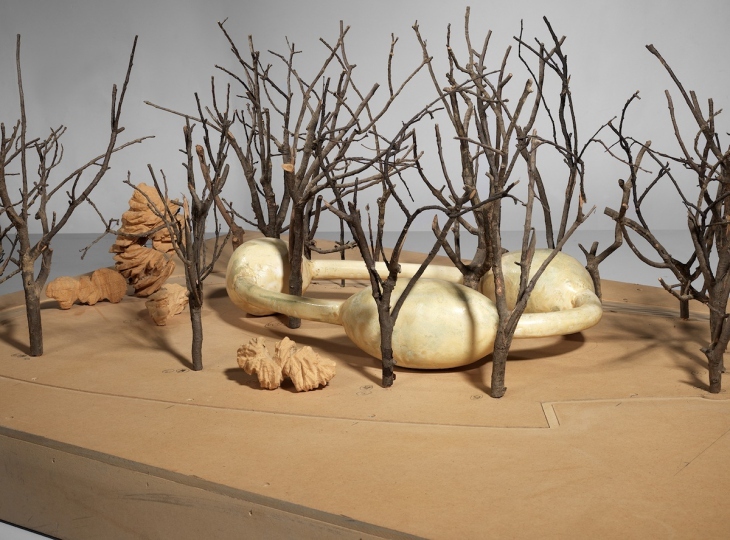 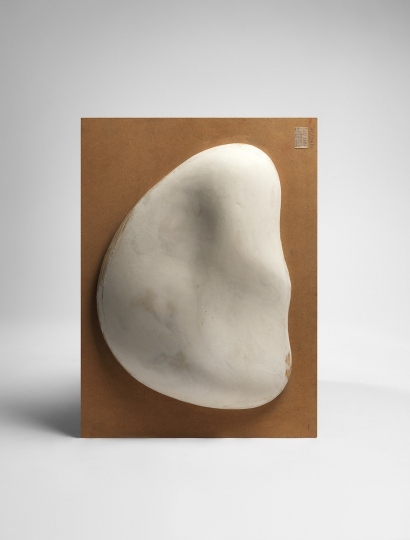 Finally, there are also the models: Deacon develops some of his sculptures on the basis of models that he uses to explore the potential of a form and its implementation. 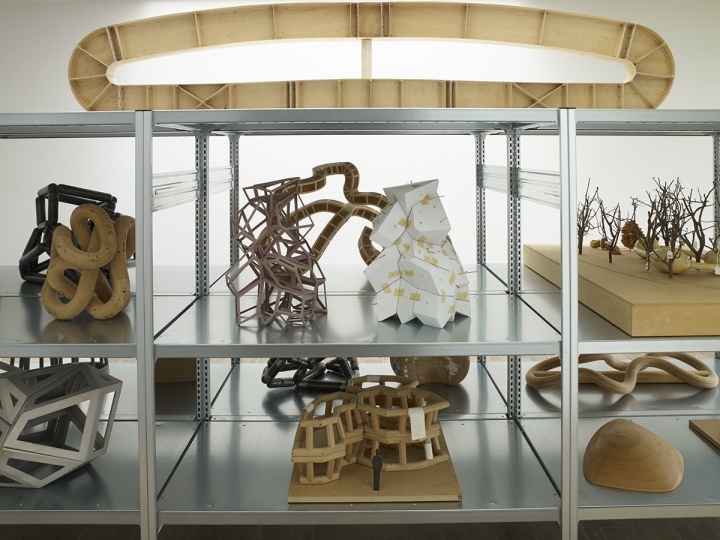 A selection of these models for sculptures of various formats is presented on shelves. 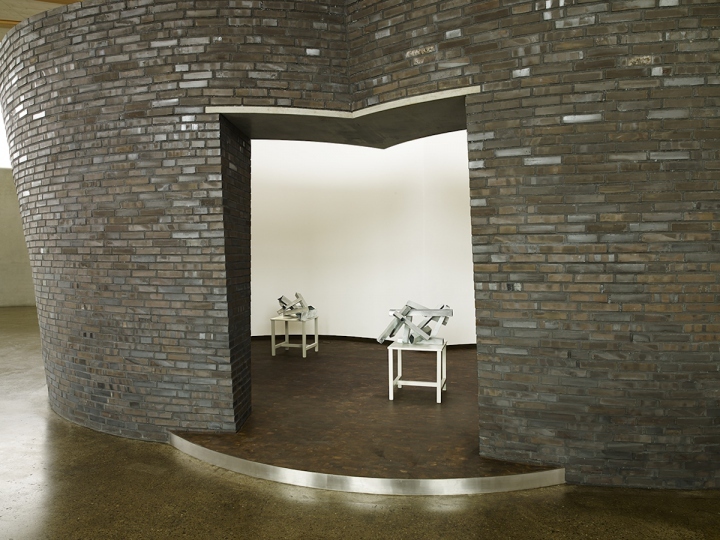 Within the intimate space of the room at the centre of the Skulpturenhalle, there is a display of Deacon’s models for his Assemblies ceramics. 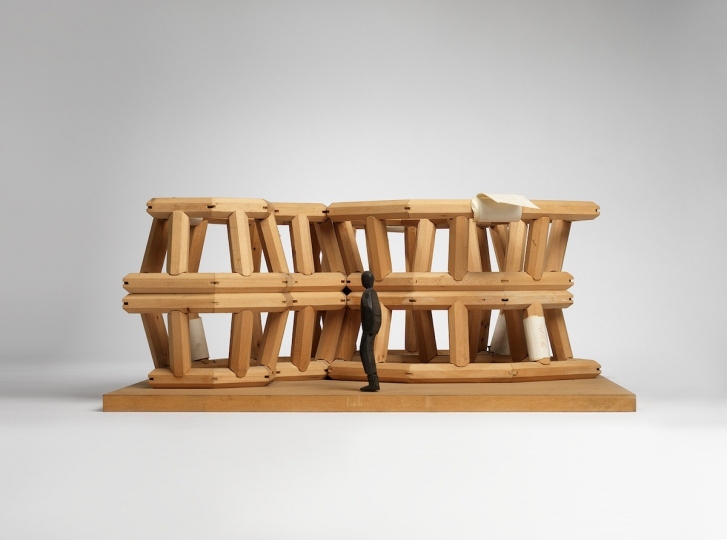 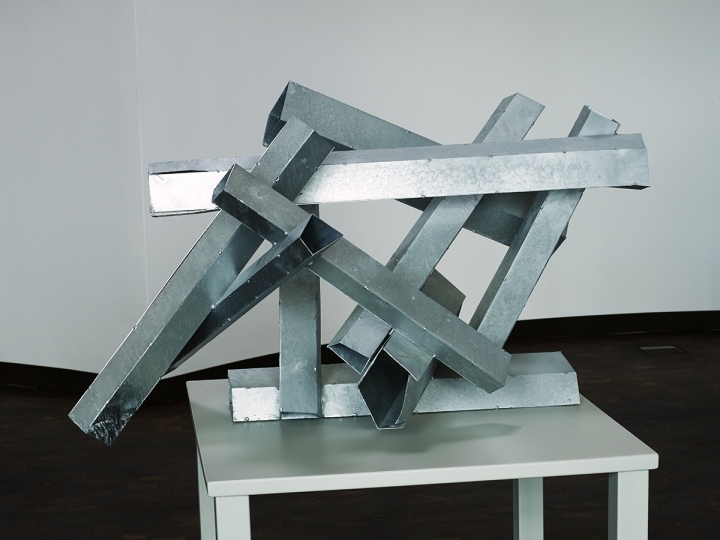 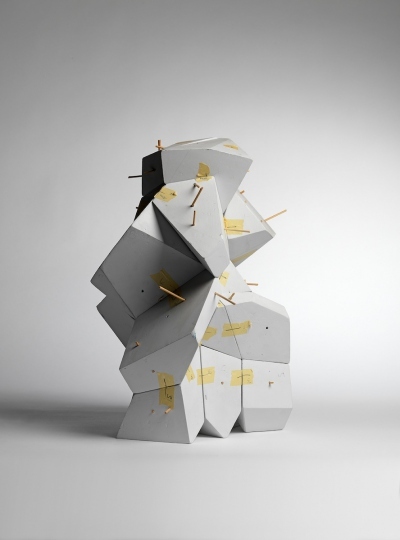 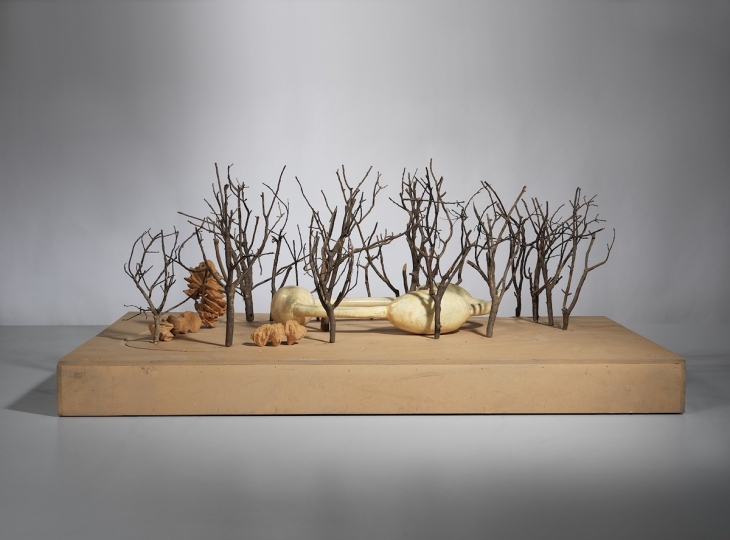 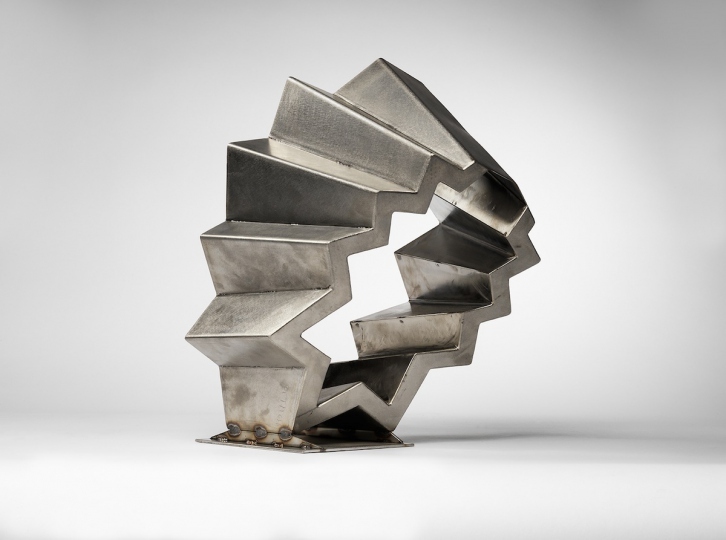 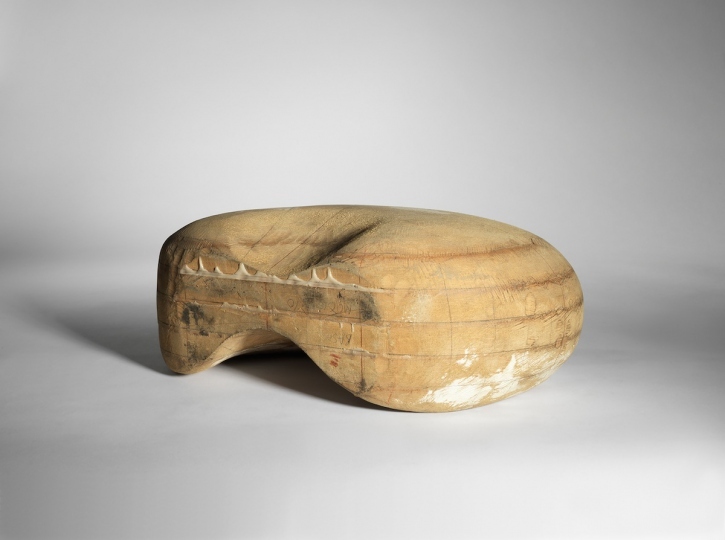 The Assemblies are free-formed, yet structurally ordered, collations of variously shaped components – a fitting metaphor not only for sculpture itself but also for many aspects of its contextual setting.